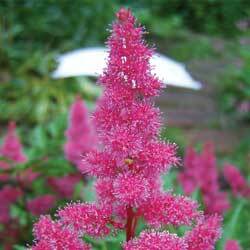 Although developing a garden for a shady area may require a little extra planning, some more thought and a bit more effort than sunny spaces, there are many opportunities to grow remarkable, unusual plants in the shade garden. 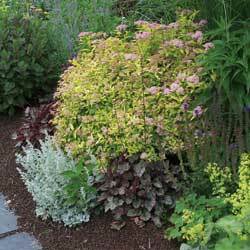 Shade-loving plants are often noted for their foliage and can be combined to produce appealing contrasts in form, texture and color. From the glossy, dark greens of camellias and rhododendrons to the soft, silvery lamiums and the bold-textured, brownish-purple leaves of bergenia, the diversity of foliage available is positively breathtaking! The term “shade” encompasses many light conditions. Shade can range from dense darkness to the light-dappled shade under a birch tree. 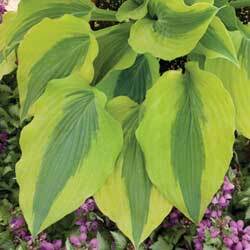 Most plants require at least a few hours of direct light each day (light shade) to look their best, especially if they feature bright colors in foliage or blooms. Some plants, however, do best in an abundance of filtered light (medium shade), especially if the shade is provided in the afternoon to cut the strongest rays of the sun. In the meantime, a few plants can thrive in the darkness of a forest (dense shade), without ever being exposed to bright, direct sunlight. Other factors you will need to consider when planting your shade garden are the amount of moisture your shady spot receives and the soil conditions. The soil under large trees is usually dry because of the “umbrella” affect created. Other locations may have soggy soil that will only allow bog-type plants to grow. The soil’s drainage, pH and texture will all have to be taken into account to create the best shade-loving garden.